To claim this profile, please confirm you are Lorene Reyes. To follow this profile, please let us know your relationship to Lorene Reyes. The Glendora varsity basketball team lost Thursday's home non-conference game against Centennial (Corona, CA) by a score of 59-26. RESULTWin Girls varsity basketball @ Bonita. The Glendora varsity basketball team won Thursday's away conference game against Bonita (La Verne, CA) by a score of 40-33. Lorene's basketball stats have been updated for the win vs. Colony. RESULTWin Girls varsity basketball vs. Colony. The Glendora varsity basketball team won Tuesday's home conference game against Colony (Ontario, CA) by a score of 64-28. Lorene's basketball stats have been updated for the win vs. Linfield Christian. RESULTWin Girls varsity basketball vs. Linfield Christian. The Glendora varsity basketball team won Saturday's neutral non-conference game against Linfield Christian (Temecula, CA) by a score of 60-39. Lorene's basketball stats have been updated for the win @ Alta Loma. RESULTWin Girls varsity basketball @ Alta Loma. The Glendora varsity basketball team won Friday's away conference game against Alta Loma (CA) by a score of 91-13. RESULTWin Girls varsity basketball @ Claremont. The Glendora varsity basketball team won Wednesday's away conference game against Claremont (CA) by a score of 44-33. Lorene's basketball stats have been updated for the win vs. Ayala. RESULTWin Girls varsity basketball vs. Ayala. The Glendora varsity basketball team won Friday's home conference game against Ayala (Chino Hills, CA) by a score of 81-47. Lorene's basketball stats have been updated for the loss vs. Bonita. RESULTLoss Girls varsity basketball vs. Bonita. The Glendora varsity basketball team lost Tuesday's home conference game against Bonita (La Verne, CA) by a score of 62-29. Lorene's basketball stats have been updated for the win @ Colony. RESULTWin Girls varsity basketball @ Colony. The Glendora varsity basketball team won Friday's away conference game against Colony (Ontario, CA) by a score of 40-36. Lorene's basketball stats have been updated for the win vs. Alta Loma. RESULTWin Girls varsity basketball vs. Alta Loma. The Glendora varsity basketball team won Tuesday's home conference game against Alta Loma (CA) by a score of 87-20. RESULTWin Girls varsity basketball vs. Don Lugo. The Glendora varsity basketball team won Saturday's home non-conference game against Don Lugo (Chino, CA) by a score of 52-50. 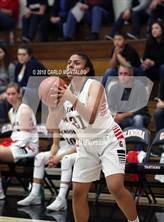 Lorene's basketball stats have been updated for the win @ San Clemente.